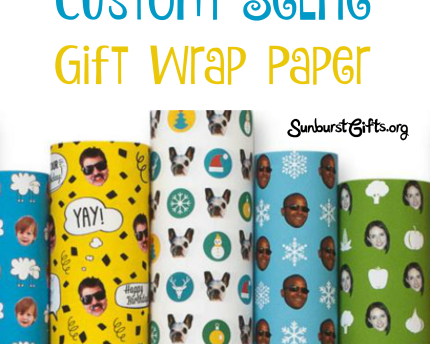 The rest of the stickers are equally hilarious so this gift will definitely bring a smile and a laugh to Dad’s face! If Dad doesn’t drink beer, you can always give him a six-pack of his favorite soda. 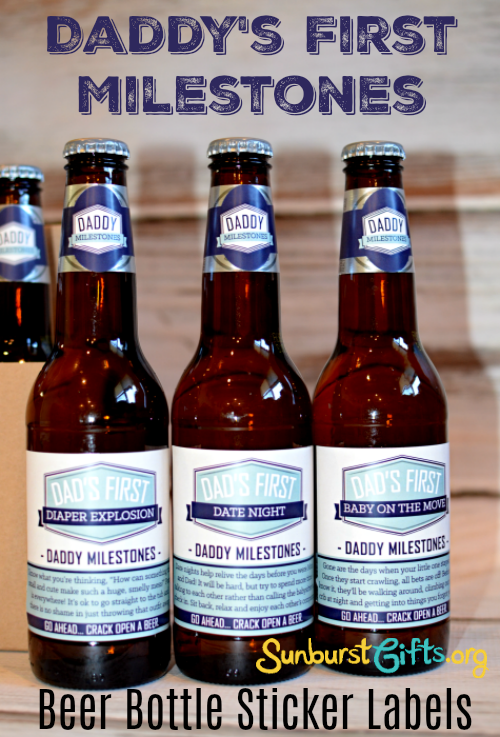 The gift is easy peasy to put together because you only need two things–a six-pack of his favorite bottled beer and the Daddy’s First Milestones beer bottle sticker label kit. The kit comes with enough stickers for six bottles, a kraft paper carrier, and stickers to decorate the carrier. Add the stickers to beer bottles that are room temperature. The kit comes with two stickers for each bottle–one large bottle label and one small neck label. 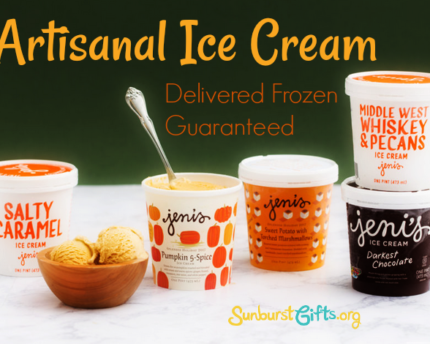 The stickers can be placed over the existing labels and it looks great, which is what I did. But if you want it to look absolutely perfect, you’ll want to remove the original bottle labels. 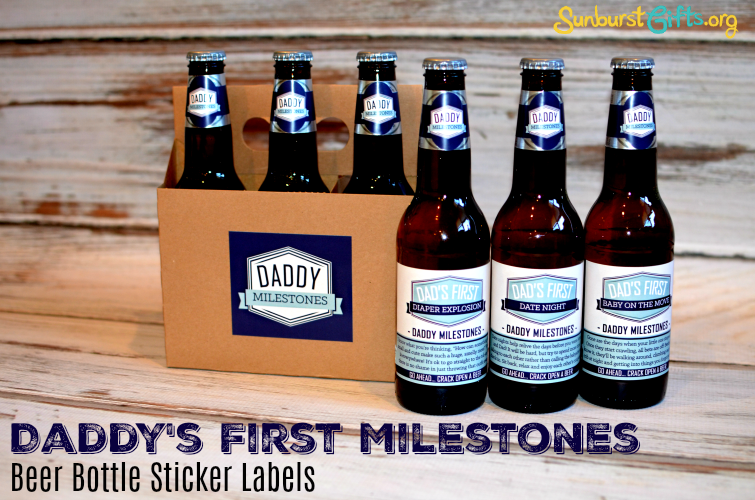 What’s great is that the Daddy’s First Milestones beer bottle sticker label kit comes with stickers made out of high-quality glossy paper. Once you put place them on the bottles at room temperature, you can stick them in a cooler and they won’t get messed up if they get wet. There is a different sticker label kit for dads-to-be called Husband to Daddy. The pregnancy announcement labels read “The best Husbands get promoted to Daddy. We’ve having a baby! Guys can be tricky to buy for when it comes to Father’s Day and baby shower gifts, but you can’t go wrong with their favorite beer given with a thoughtful twist! TIP: If the bottles are too big to fit inside the carrier, you can always put the beer inside a gift basket with peanuts like this.